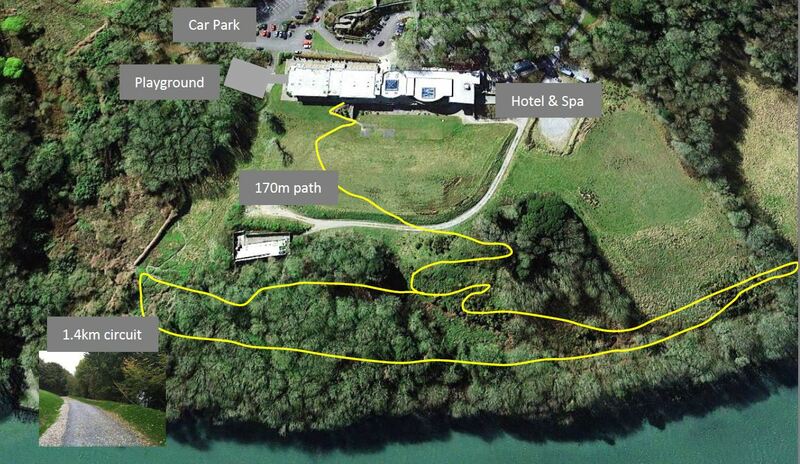 The Kinsale Hotel & Spa is delighted to be working with one of Ireland's leading team building company who offer a wide range of on and off site, indoor and outdoor innovative team building and activity programmes for your conference, team building or corporate event. We also have Oysterhaven Activity Centre on our doorstep who we work closely with to arrange fun and exciting activities. Combining their specialised team along with our events team at the hotel will provide you a tailor made programme focusing on your needs and objectives and we will work closely with you to ensure every detail is cover to deliver an overall experience and event that exceeds your expectations. We have so much to offer we pride ourselves on tailoring our packages to meet our customers needs. For a full range of what we have to offer please call us today on 021 470 6000. Are you an experienced marksman or have you never picked up a gun before? It doesn’t matter you’ll love this sport. These are REAL shotguns that have been re-modelled to fire nothing more than an infrared beam at clays launched from a traditional clay launcher. The Result… all the excitement of a traditional clay pigeon shoot without any of the associated dangers. Internationally renowned engineers have gathered at the site of the next winter Olympics to plan, construct and test their bobsled courses. A flurry of pipes, bamboo, flags & engineering egos combine to provide an engaging construction event. Experience the thrills, spills & ecstatic joy as teams test-run their high speed bobsleds. Teams head off on a rotation of fun team challenges that will test team ingenuity, communication & spirit. As teams tackle challenges they build up their ‘stash’ of ammo for the impressive catapult finale - a spectacle of flying sacks, spectacular catches & ambitious contesting. It’s a sure ‘fire’ event with any team. Put your engineering caps on as your team attempts to build the latest ‘weapon of mass construction’! Sharing information & the delegation of tasks are key as you assemble your mighty catapult. Then prepare for an epic battle as you put your design to the test. Put your team’s creativity and ingenuity to the test as you face a variety of fun challenges. Thinking big & ‘outside the square’ will stand you in good stead as all elements of team work are explored. Share in the brainstorming, the planning, the designing & the success - find out what makes your team tick. NASA is searching for a team of astro-engineers to lead its next top-secret space expedition. Each team member has a vital part to play as they face challenges that will test intellect, physical prowess & team cohesion. The countdown is set & competition for selection is fierce! Will you be first team to launch your rocket & be on your way to the moon? Aaaaargh me hearties, Ye have found me trunk of maps & clues, now ye got to prove ye are pirate enough to claim me long hidden treasures! So round up ye best misfit pirates & take up the challenge. All your pirate skills will be put to the test before ye are rewarded the whereabouts of me treasure chest! ‘The Oysterhaven Centre’ is in grave danger. Rebel forces have ‘booby-trapped’ the entire compound & have it wired to powerful explosives - time is running out! Your team of highly trained ‘field agents’ need to muster all their expertise to track down the perpetrators and save the centre from total obliteration. Brace yourselves for a flurry of action as teams compete for gold in our mad-hatter events. Competition is fierce as ‘athletes’ vie for the fame & glory of winning gold! But be prepared, expect the unexpected. Embark on a real adventure - a quest into the jungle. Follow our challenge course through & over bog & water, sharing in the fun, competition, laughs and mud! Take a step back in time with our fast, fun & furious Schoolyard Antics. With mass participation, everyone from the teacher’s pets to the schoolyard bullies go head to head in a collection of old & new schoolyard favourites. Get out of the office & into the fresh air for a jaunt around the picturesque surrounds of Oysterhaven. Navigate between control points using maps, while bustling for space on the radio airwaves as teams go mad trying to communicate their vital information. Loads of fun, freedom and fierce competition! Set your own team pace in the race for top honors. Bring together your band of merry men (or women) and find out who the real ‘Robin Hood’ or ‘Maid Marion’ is by taking up bow & arrow in our very own Sherwood Forest. Whether you’re a first-timer or a seasoned professional you’ll enjoy the skill & ‘merriment' involved in our unique archery setting. Take a leisurely paddle out across the scenic Oysterhaven Bay before returning home to a hilarious water-polo session where balls, boats & paddles are thrown together for a fun & competitive end to a great day! A wet & wild session in the Oysterhaven bay. Teams race in our white water rafts, face challenges in the double quest kayaks & go for goals in our fast & furious kayak polo. An energy buzzing competitive way to finish your day on a high! Enjoy the beauty & buzz of Oysterhaven on the water by giving one of our water sport options a go. Experienced & qualified instructors will teach you the ropes & give you a peek at what makes Oysterhaven so special.